Harveys Block Salt, is a convenient way to replenish a water softener. Each block is size of a house brick, the blocks weigh 4 kg - and come in packs of two. 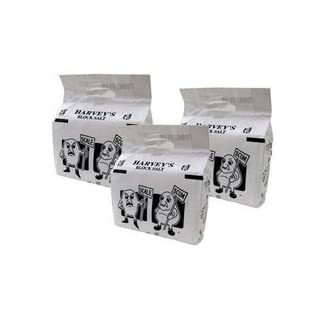 3 Packs (6 Individual Blocks) Delivered to your door Suitable for most water softeners Harvey's are currently using different packaging options. so your salt pack may look different than the familiar scale and scum packaging you are used to.